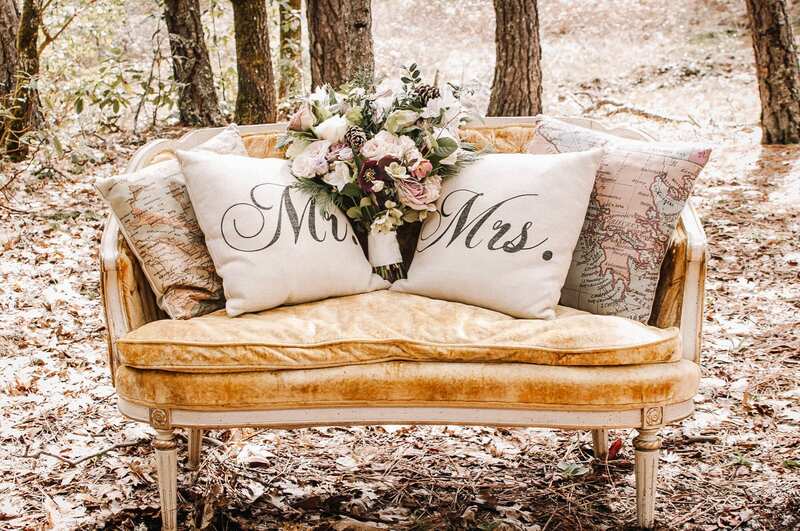 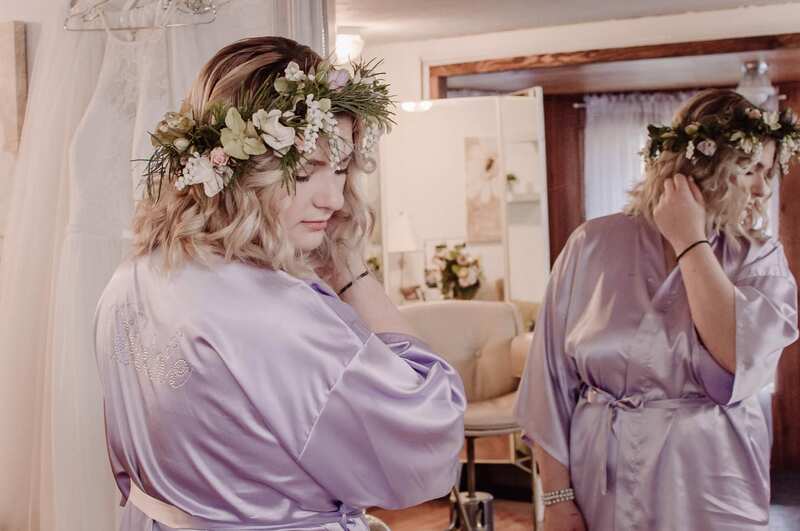 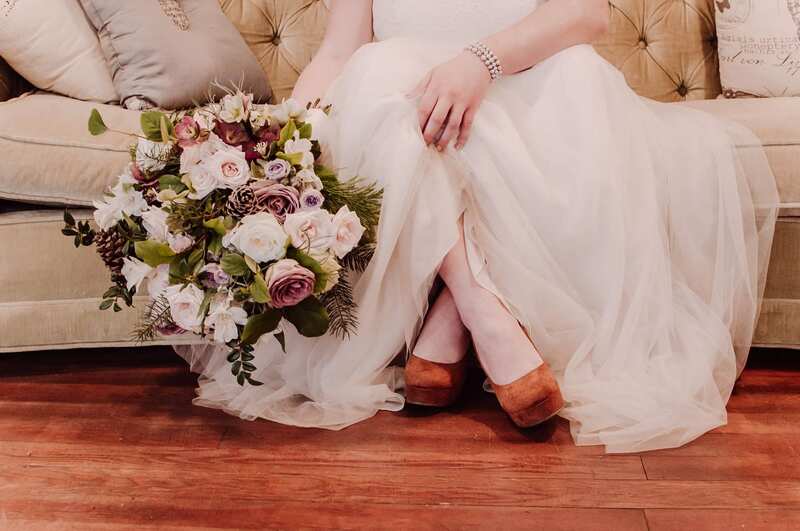 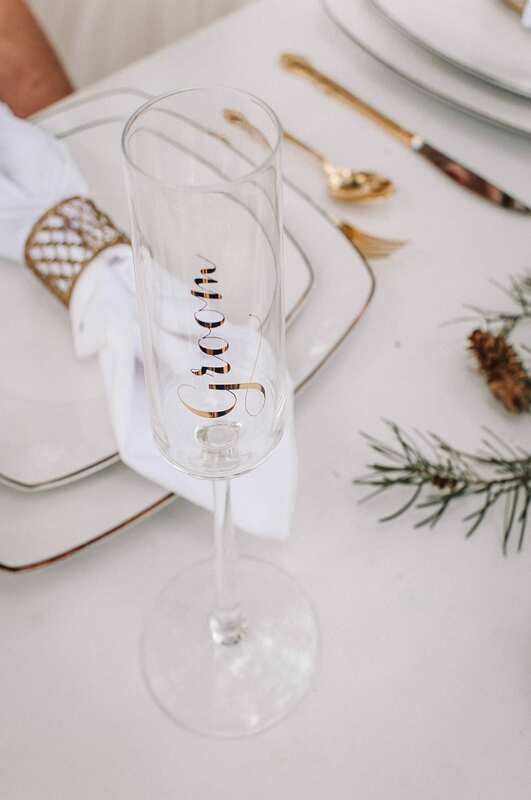 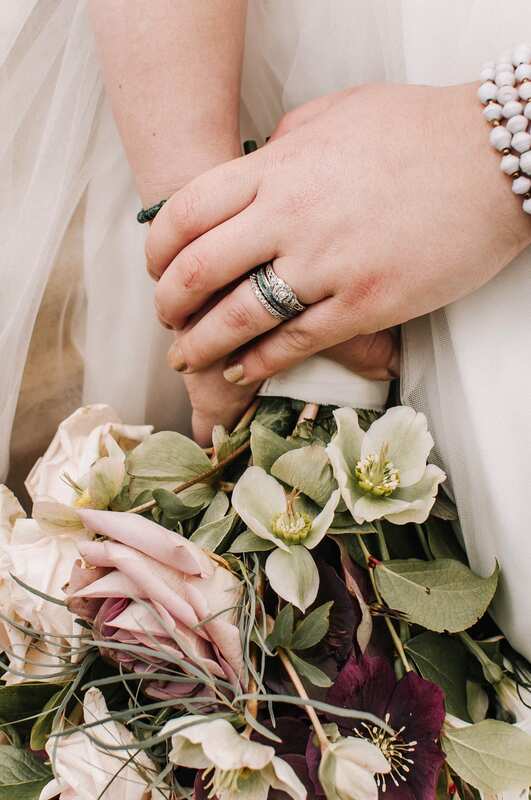 In the bridal industry, most attention is given to traditional wedding ceremonies, complete with a full guest list, catering, and plenty of glitz and glamour. 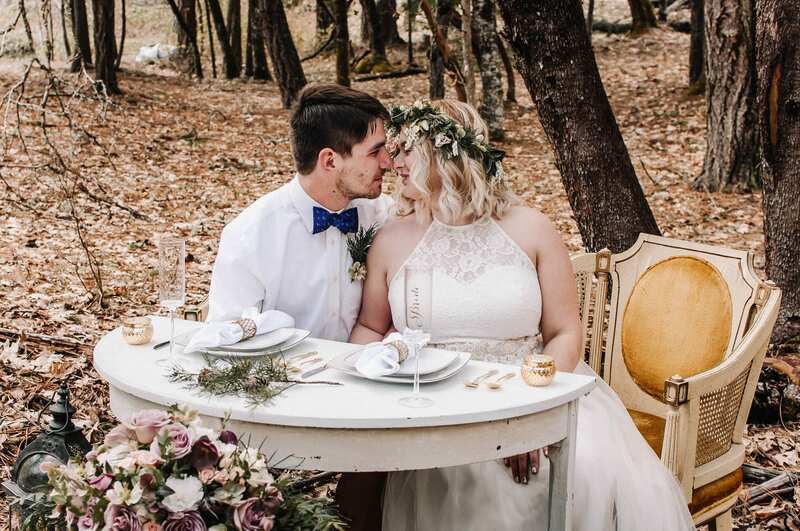 But not everyone has the ability–or desire–to celebrate their love in that way. 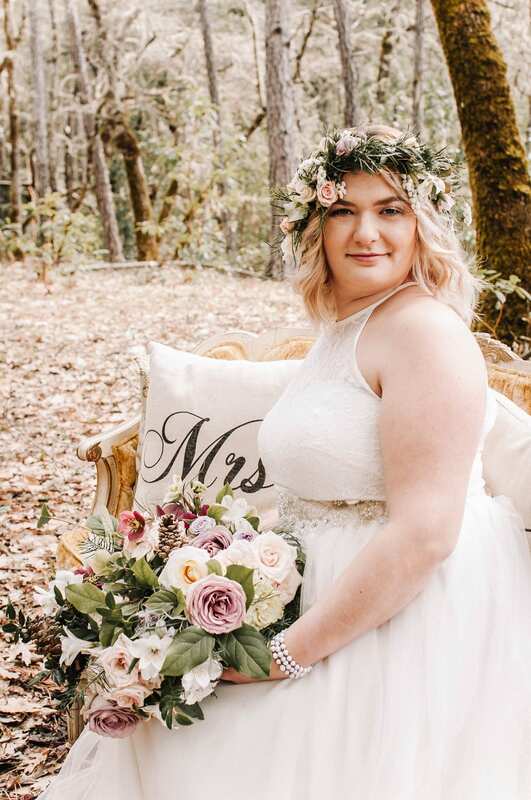 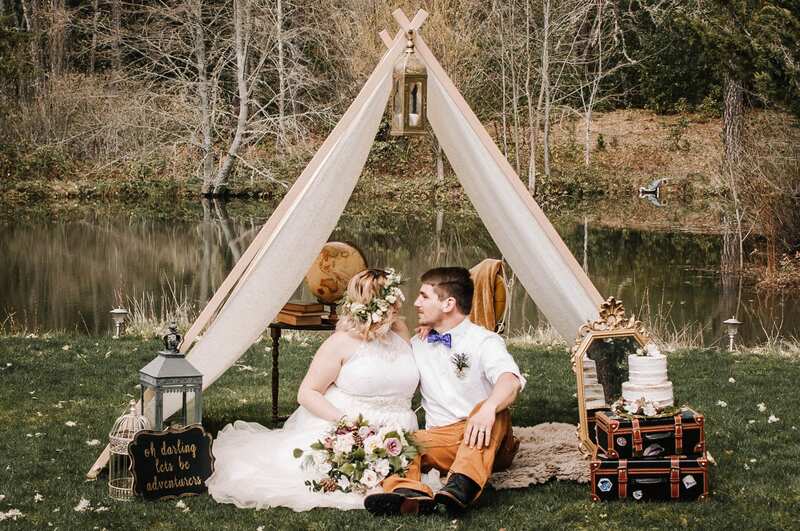 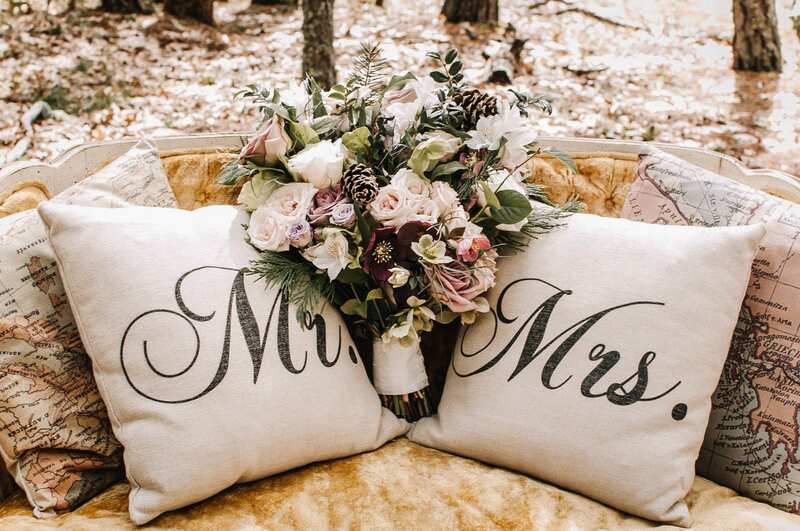 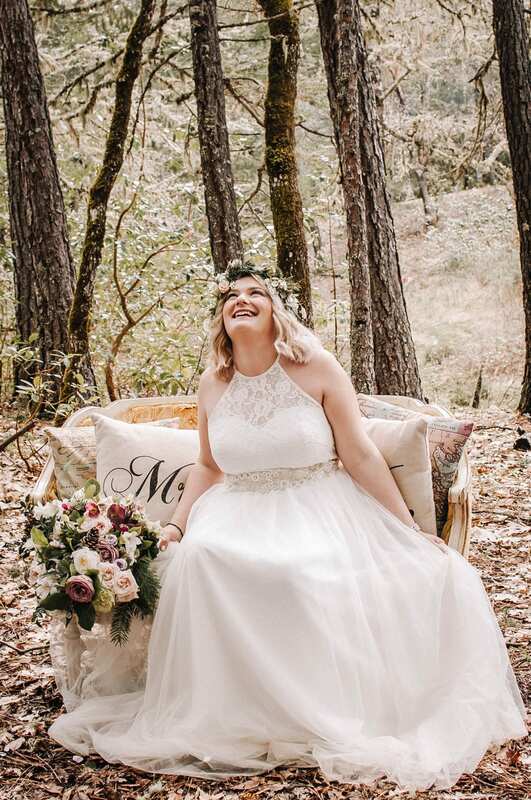 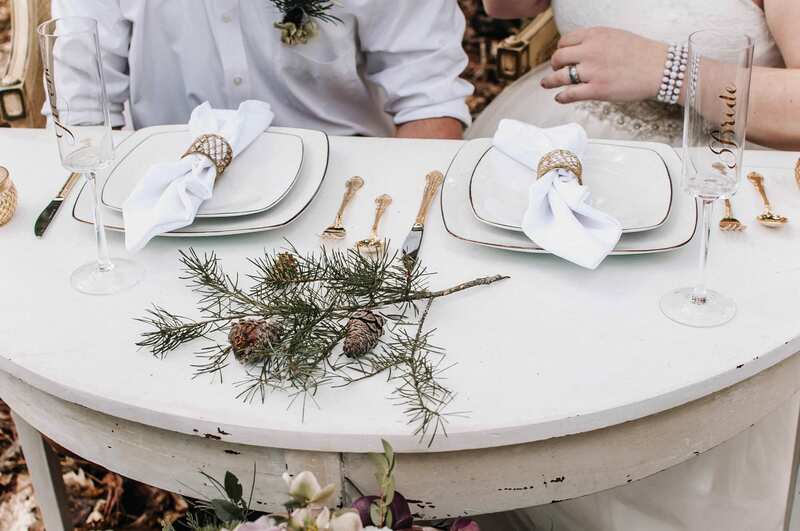 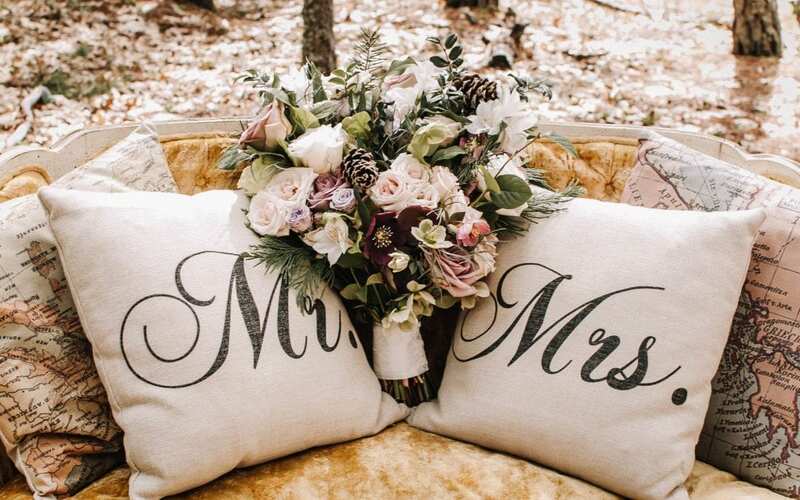 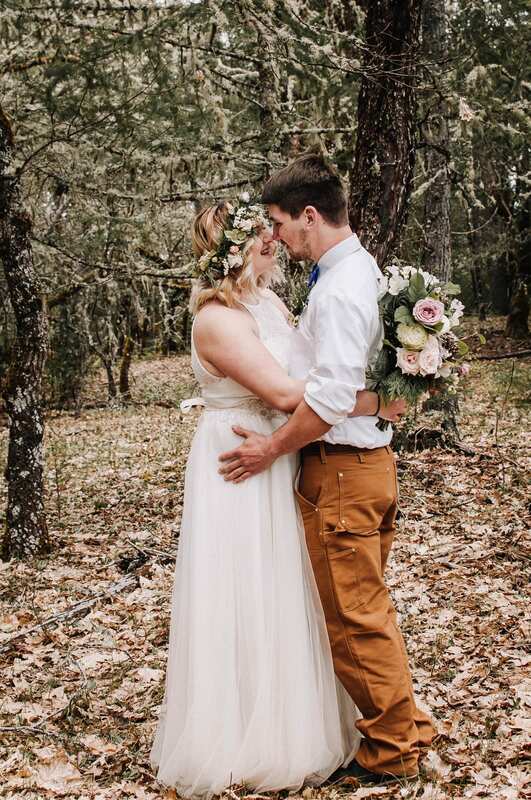 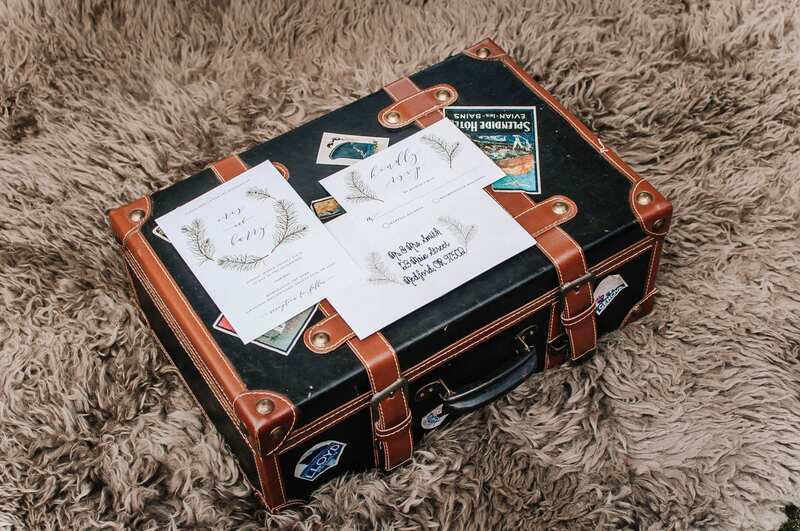 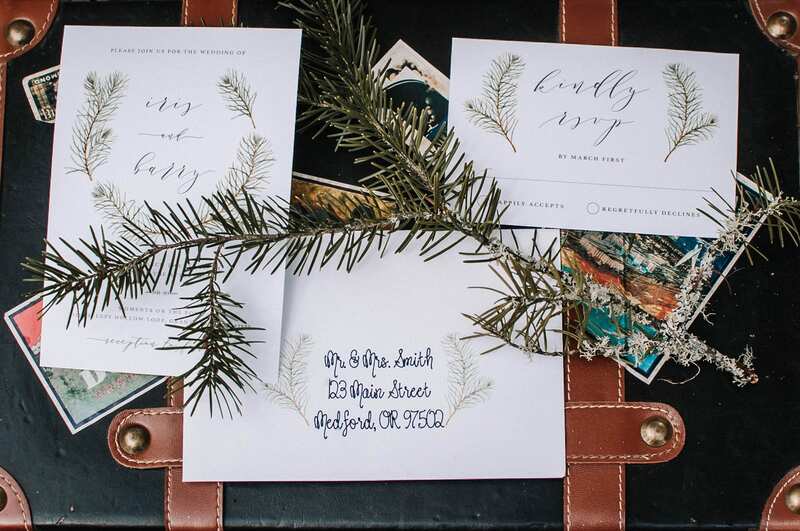 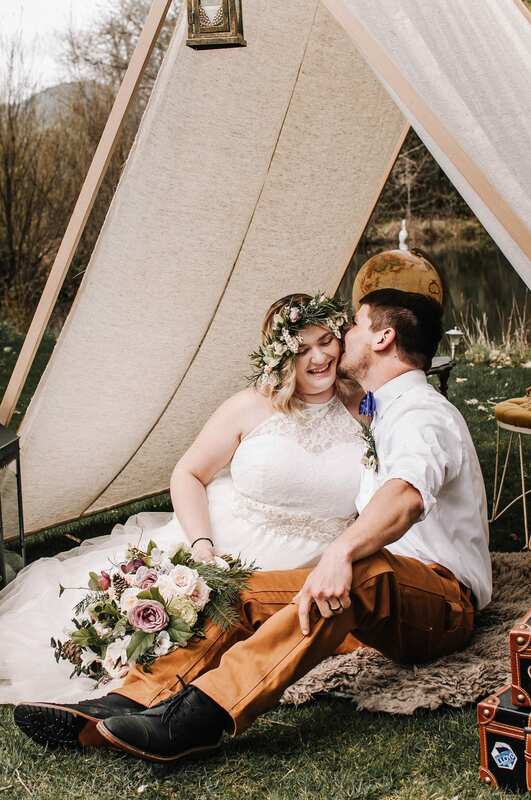 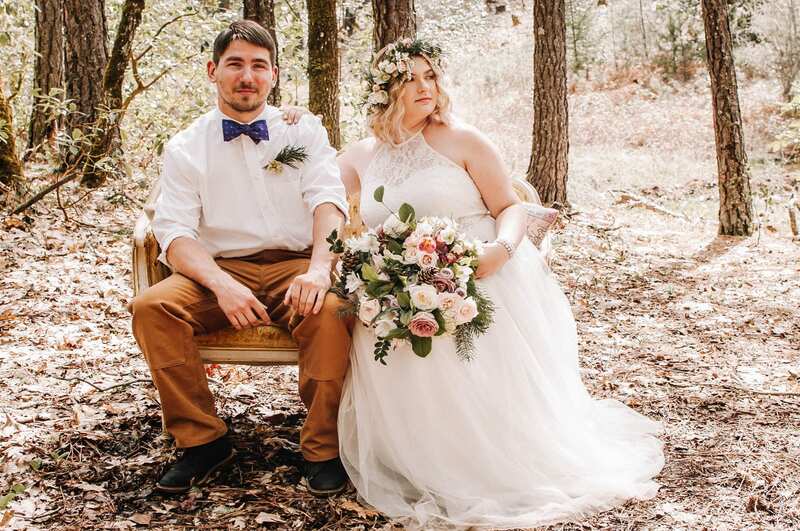 The idea behind this clever shoot by H. Rose Photo Company is a fuss free, adventurous couple who wants to make their elopement about them, and in a beautifully wooded setting. 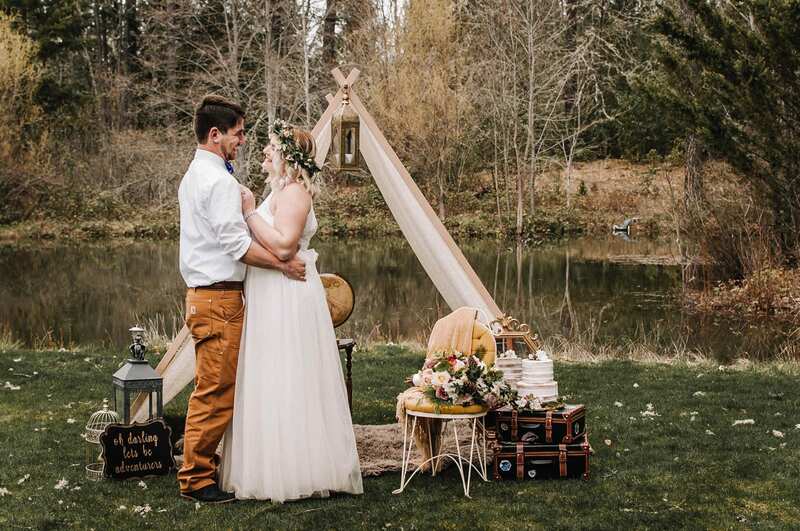 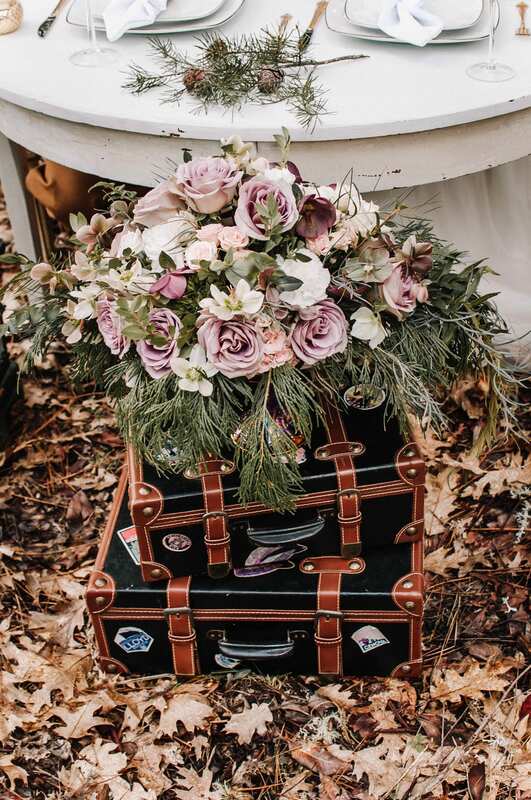 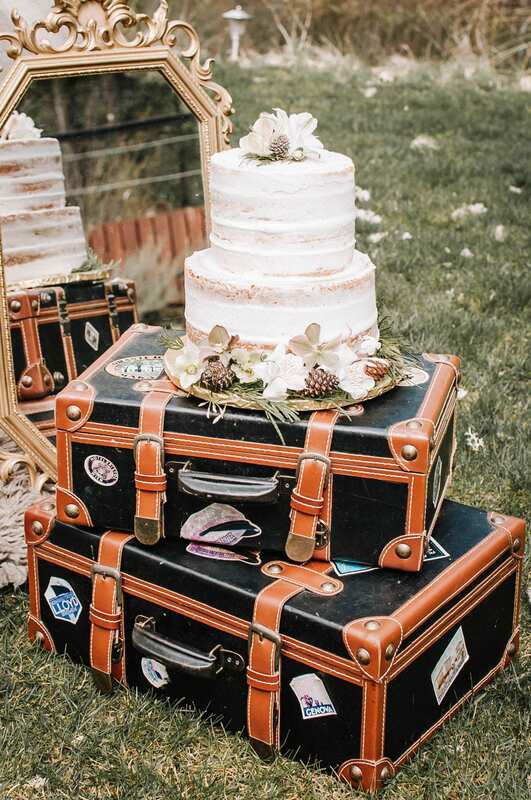 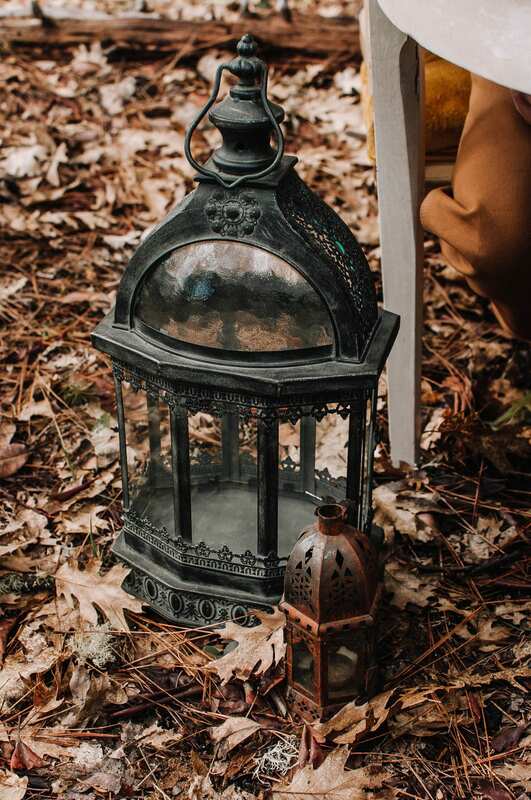 A homemade tent, gold setae chair, and vintage black leather strapped trunks complemented the natural soft greens and caramels of early autumn. 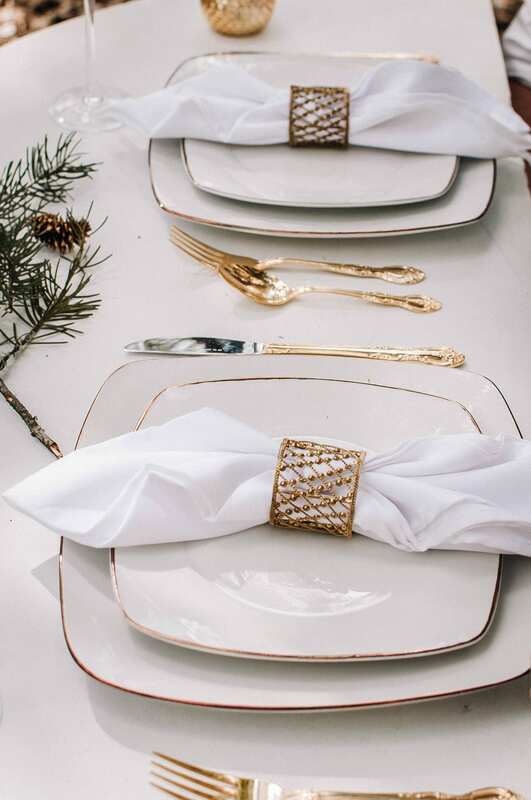 Gold rimmed plates added just a touch of formality. 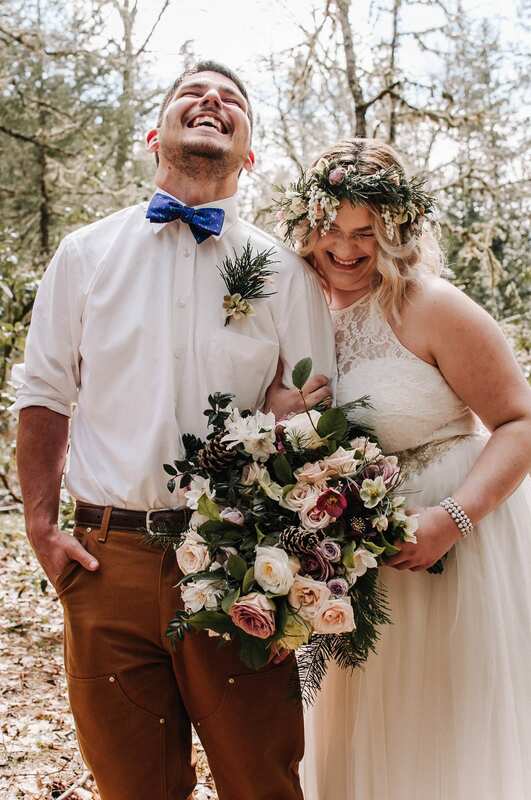 The bride and groom are full of smiles and laughter and look at ease. 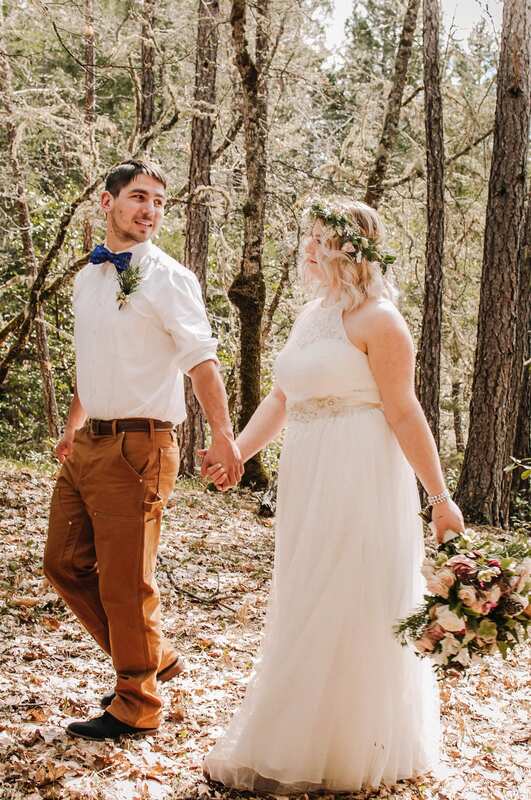 The groom sports a pale white dress shirt with rolled up sleeves and a purple bowtie. 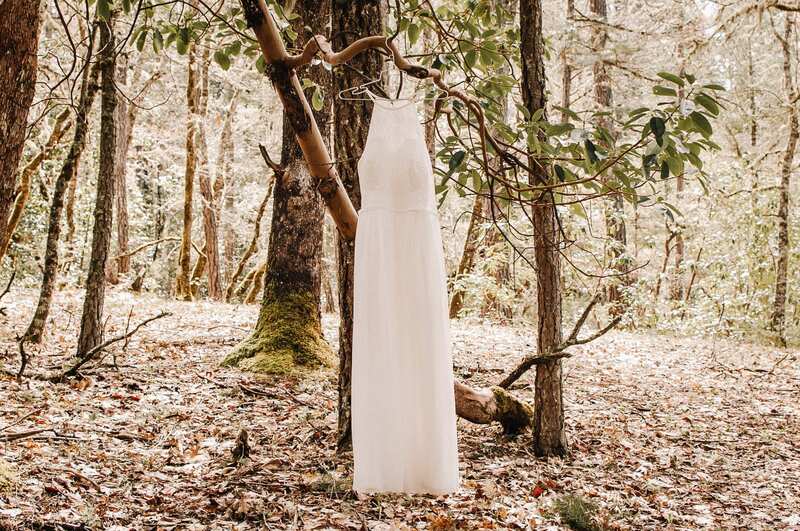 The bride a flowing a-line wedding dress with a high, sheer lace neckline and lace running along the natural waistline. 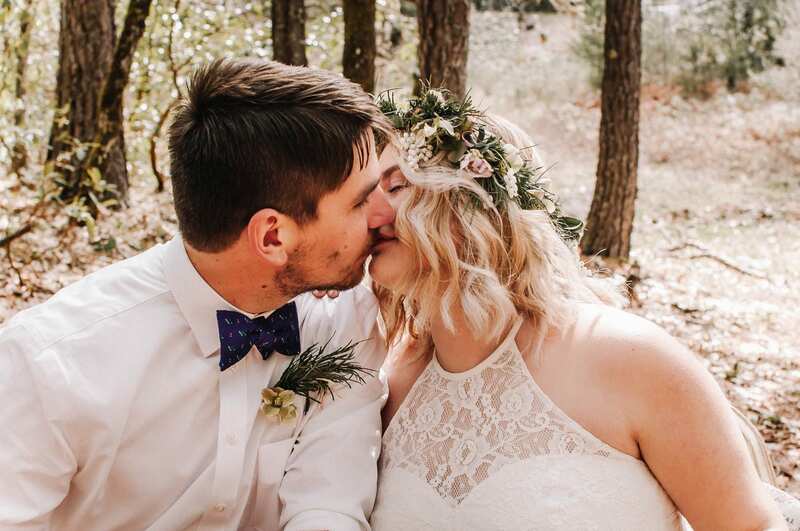 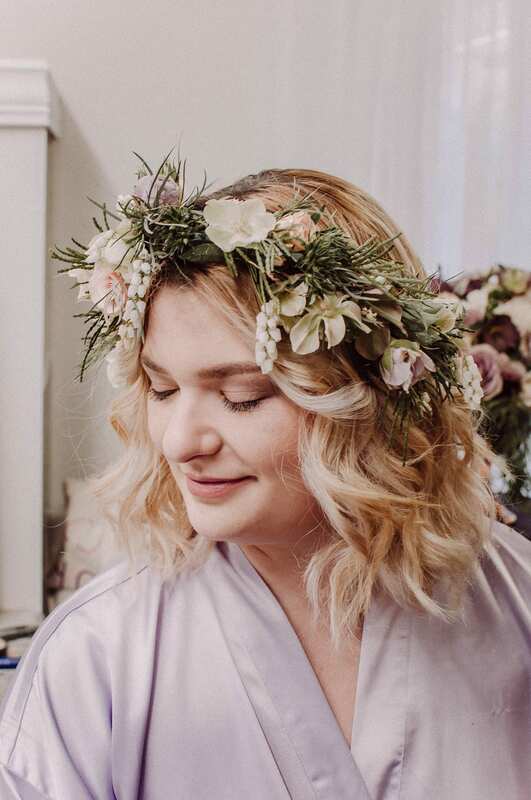 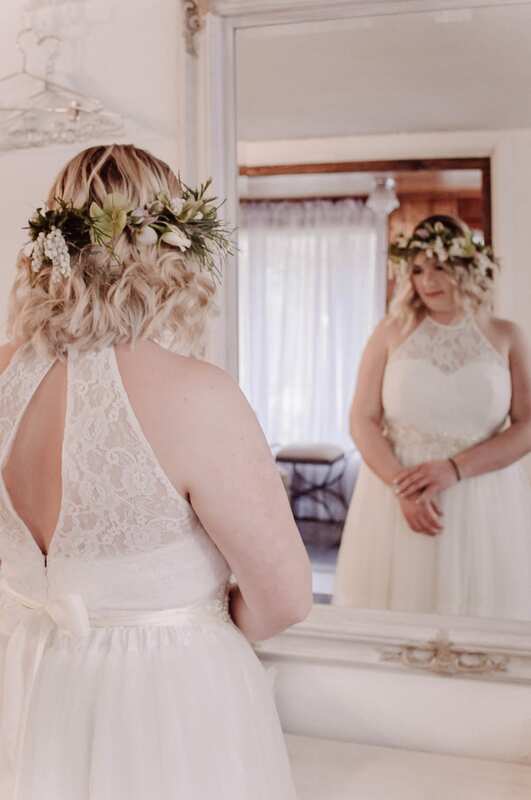 A flower crown is the perfect free spirited touch for a couple ready to set on a new adventure.